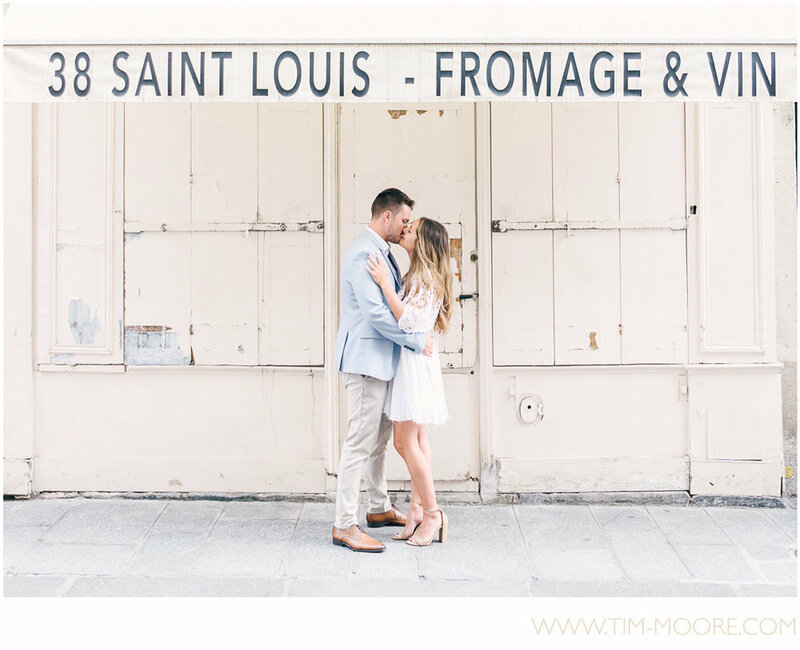 As soon as we finished our photo shoot in Paris, I told Anna and Jonathan: "this session is definitely going to end up on my blog". They recently got engaged and will be getting married in March 2019. While in the process of finding a title for the post I asked myself how I could summarize this adventure in a single word. It didn't take a long time before I saw the word "Connected" jumping out at me, for several reasons. First, Connection is everything. As a photographer, my main focus is to capture the connection between people having intense feelings towards each other (I am talking about Love of course, otherwise I would have chosen to be a UFC photographer). I am pretty sure you will feel this deep connection while discovering the Paris photographs of Anna and Jonathan below. Then, our love birds from Florida are actually also very connected to Europe and to France. Anna spent some time in Europe while she was studying a few years ago and Jonathan is actually French (yes, a soccer world champion like me :D #allezlesbleus) and he was even born in Paris. All of this made this moment very special for me and I couldn't resist to share a few images with you on the blog. I can't put into words how much we LOVE these photos!! They are absolutely amazing and I think really capture the relationship we have. We had a perfect experience shooting with you! I just ordered our save the dates with one of your photos. If you would like one to see/show people I would love to send you one! Just send me your address. Now let's have you joining the connection and enjoy a walk through their romantic love story in Paris. I hope you loved wandering through this gallery as much as I enjoyed taking these photographs. If you are also planning to visit France and are thinking about have a Paris Photo Session, all you have to do is to GET IN TOUCH and we will make it happen just for you.